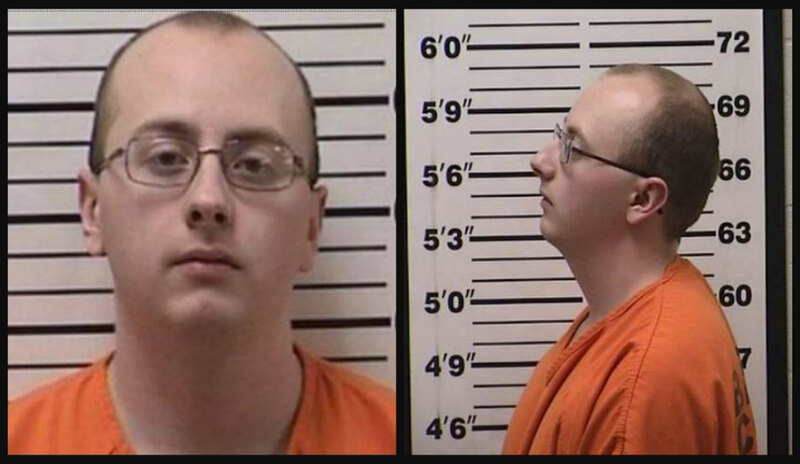 A Wisconsin man accused of kidnapping 13-year-old Barron teen, Jayme Closs, after allegedly shooting and killing her parents, waived his right to a preliminary hearing during a Wednesday morning court hearing at the Barron County Circuit Court. Star Tribune reports that 21-year-old Jake Patterson made a brief in-person appearance at the court, where he quickly acknowledged family members in attendance with a small wave and a smile. Nearly 24 members of Jayme’s family sat on the opposite side of the courtroom from Patterson’s relatives, including his father. Patterson didn’t enter a plea during the hearing, and remains behind bars on charges of double murder, kidnapping, and armed burglary. A preliminary hearing is required in order to establish that there is enough evidence to continue with the case. Since Patterson waived his rights, he’ll next appear for an arraignment, where he’ll have the chance to enter a formal plea. A judge scheduled Patterson’s arraignment for March 27. As CrimeOnline previously reported, Jayme was kidnapped on October 15, after she heard her dog barking on the night in question, and walked out of her room to alert her parents. According to court documents, she told authorities that’s when noticed Patterson driving up her family’s driveway with the headlights of his car turned off. Within minutes, Patterson reportedly shot the door in, and shot and killed Jayme’s father, James Closs. Jayme told police she ran to bathroom with her mother and hid, but the suspect forced his way in. Patterson found the pair hiding inside the bathtub, with Denise Closs’s arms wrapped protectively around her daughter. Patterson then forced Denise Closs to put tape over Jayme’s mouth, then taped Jayme’s arms, wrists, and ankles together afterward. The suspect reportedly told investigators that after he wrapped Jayme in black duct tape, he aimed the shotgun at Denise’s head and pulled the trigger. He then forced the girl out of her home. At one point, she almost slipped in her father’s pool of blood as the suspect dragged her with one hand, while holding a shotgun in his other hand. Once he had Jayme secluded, Patterson “made it clear that nobody was to know she was there or bad things would happen to her,” according to the complaint. When friends or relatives visited the Gordon home where Jayme was held captive, Patterson forced her hide under a bed, the complaint read. On the day of his arrest, the suspect drove to Haugen, reportedly to visit his mother. When he returned home, he noticed Jayme had fled. Authorities arrested him by his home shortly after, after they noticed him pulling up to his home in his car. On January 10 at around 4:45 p.m., a woman was walking a dog in a housing development just outside of Gordon, when a girl with matted hair wearing men’s shoes and tattered clothing approached her for help. The woman, former social services worker, Jeanne Nutter, took the girl, identified as Jayme, to a house further down in the area, hoping to get as far away from the home Jayme escaped from before asking for help. The pair arrived at the home of teacher Kristin Kasinskas and her husband, Peter, who live off of S. Eau Claire Acres Circle with their children. Barron County Sheriff Chris Fitzgerald said during a press conference last month that he wasn’t sure how Jayme managed to escape. The suspect was not in the home when she ran for help. “Jayme had a pretty good night sleep. It was great to know she was next to me all night. What a great feeling to have her home,” Jayme’s aunt, Jennifer Smith, wrote on social media, after the girl’s first night back home.